Umm... Hello Gorgeous! This would make a wonderful christmas gift! 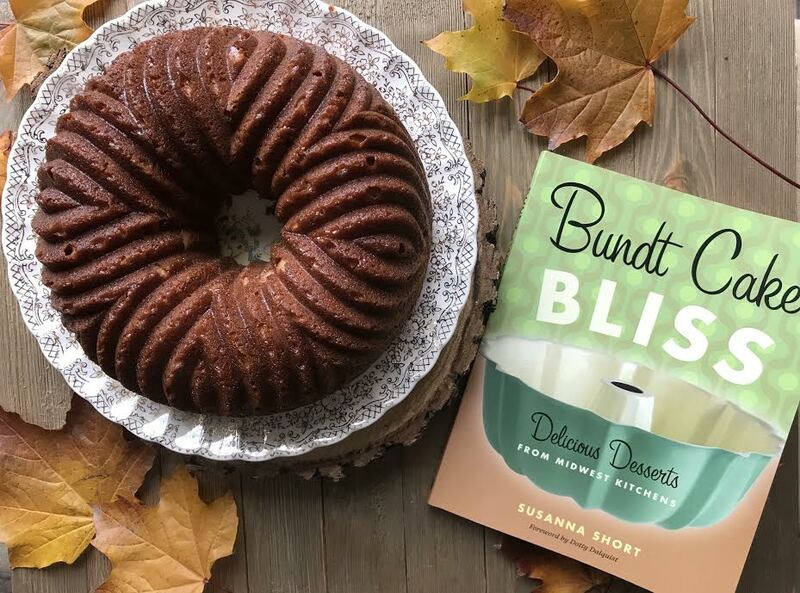 Bundt Cake Bliss & Bavaria Bundt! In celebration of the coming holidays Nordic Ware is partnering with the Minnesota Historical Society to highlight and feature two of their cookbooks that connect with the Nordic Ware brand and heritage. We are thrilled to be a part of this for two reasons. One, we absolutely love the Nordic Ware company. (Serious heart eyes) And two, though we're quite scattered now, we have deep ancestral roots in the state. 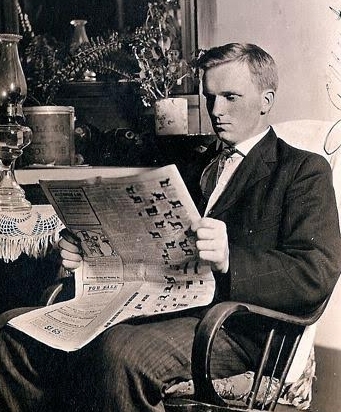 Our Great-Grandfather (whose parents emigrated from Norway) was born in Cokato, Minnesota- just an hour away from Minneapolis. So for someone who is Bundt-cake-crazy and also super into ancestry, this book is extra special. Also can we talk about this pan for a minute? 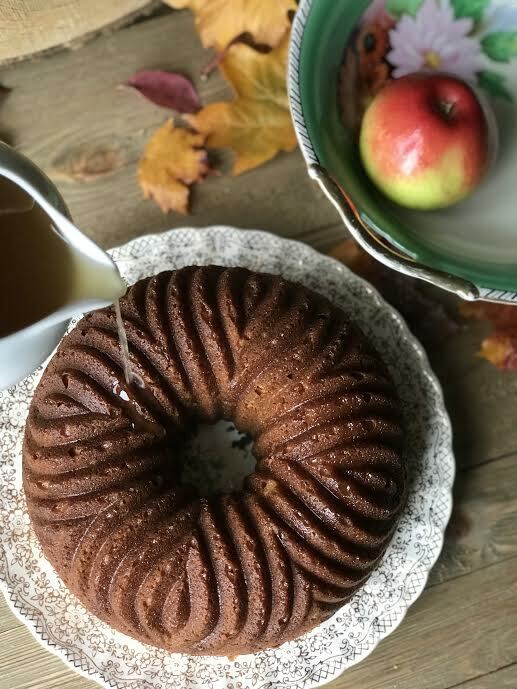 Isn't this Bavaria Bundt Pan everything? It's so pretty! I know I always say this but--NEW FAVORITE! Don't worry, square Bundt pan, I still love you but Bavaria Bundt is so gorg and I'll probably use it a million times by Christmas Day. 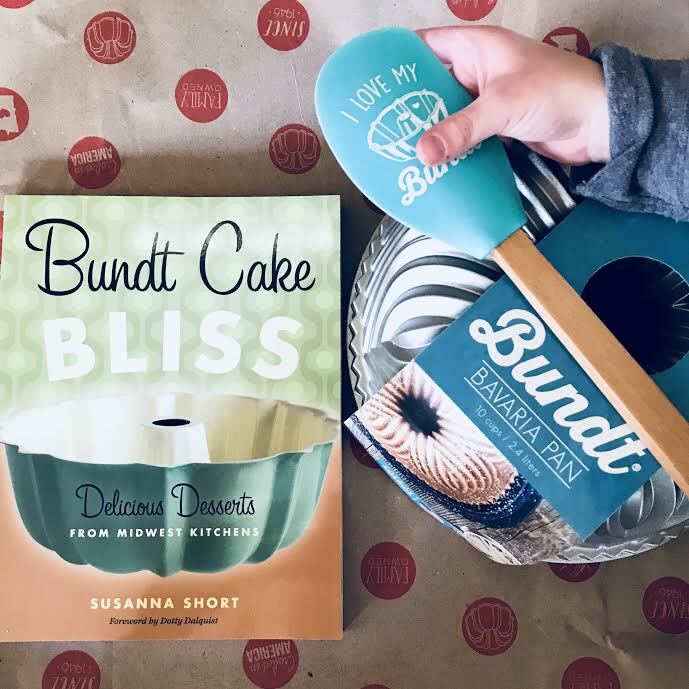 Butter your Bundt pan using a pastry brush and softened butter. Thoroughly coat the pan making sure to cover each and every nook and cranny. Set it aside for a couple minutes then come back and do it again. Even if you think you got it good the first time, trust me. Butter that baby well. You'll thank me later. I've never had a Nordic Ware Bundt cake stick yet. In a stand mixer beat together cream cheese, butter and sugar until light and fluffy, 1-2 minutes. Next, in a separate bowl combine flour, baking soda, cinnamon and salt. Set aside. In yet another separate bowl combine apple butter, vanilla and bourbon. Set aside. Add the flour and the apple butter mixtures alternately to the butter mixture, beating well after each addition. Lastly, stir in the nuts. Pour into the prepared pan. Bake for 50-60 minutes or until toothpick inserted comes out clean. (Begin work on the glaze while the cake bakes) I start checking my Bundt cakes at 45-50 minutes to make sure I don't get them too brown. Always keep an eye on them! Remove from the oven and let cool in the pan for 15 minutes before inverting onto a cake plate. GLAZE: To prepare the glaze, place apple cider, honey, lemon juice and sugar in a small sauce pan. Bring mixture to a rolling boil. Reduce heat to maintain a low boil and stir constantly until mixture thickens slightly, about 5 minutes. Remove 2 Tablespoons of cider mixture and thoroughly dissolve the cornstarch in it. Return it to the sauce pan and continue to cook until mixture thickens further, about 4 minutes. Add 1/2 cup powdered sugar and cook until the glaze is thick enough to be spooned over the cake, about 4 minutes. Brush glaze over hot cake. This uses about 2/3 of the glaze. Once the cake has cooled (if you can wait that long), spoon the remaining glaze over the cake. It will have thickened, giving it the appearance of honey.